If you are going to be running ads on your site, shouldn’t the goal be to make as much money as possible? That’s more difficult to do if you are dependent on only a few sources for your ad revenue. By adopting video ads, alongside your existing display banners and text ads, you are making it possible for more advertisers to run ads on your pages. People love to watch and share videos, and some may even prefer those types of ads as opposed to banners on your page. Just as you should not be settling for limited ad revenue, advertisers do not feel enough with just a few available ad formats. 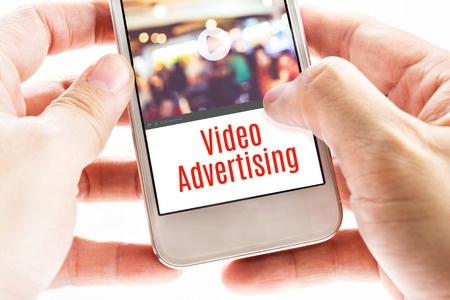 Video ads are proving to be very effective, and more and more advertisers are adding them to their marketing campaigns. An advertiser will now be looking for publishers who support multiple formats on their site, as those are more attractive to them. A multi-format ad package is a win-win situation for both the publisher and the advertiser. Your site can be very informative and useful but it will certainly require some effort from your readers to absorb the information. Video ads can light things up a little and make your site fresh and fun. If an advertiser wants a video ad to get noticed, they know they need to create something that is informative yet entertaining. As such, the videos that they deliver will end up being something that the visitors to your site will enjoy. It will have the dual benefit of feeling like fresh content on your site while also helping advertisers attract more leads. Pretty much everyone has a phone that can capture and make videos. You can create some real income by monetizing videos submitted by your visitors with video ads. Of course the user-submitted videos and the ads must be relevant to the niche or industry that your site is about. The bonus here is that you get a steady flow of fresh content that is sure to be of interest to other viewers and advertisers. If you have quality in-house production capabilities, you may attract more premium advertisers and may also consider creating ads for advertisers. There are countless affordable tools out there that can help you make this happen, and you can charge a premium to advertisers looking to take advantage of your video ad serving. Online video really has opened up all sorts of different revenue doors for publishers and advertisers.